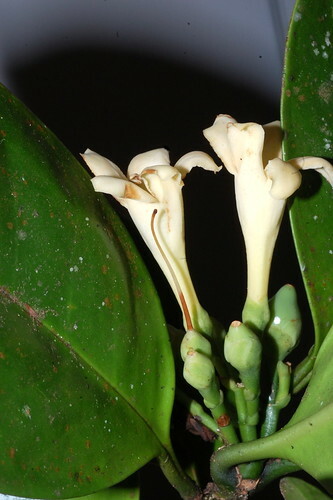 It is hard to believe that trees in the tropics may be related to the diminutive gentians of temperate zone, but there you go – introducing the Porcelain Fruit, the gentian tree of the wet tropics. 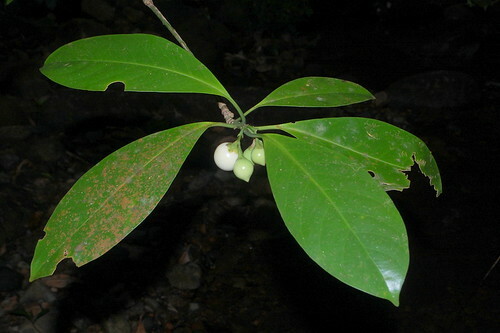 The Porcelain Fruit is found in the understorey of lowland rainforest to upland forests, and it can be identified without flowers on the basis of the way the leaves are borne on the stem. 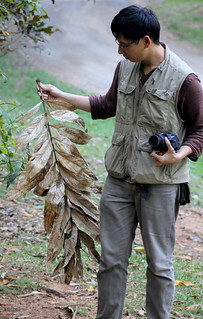 Every successive pair of opposite leaves comes out at a opposite angle to the preceeding pair (i.e. 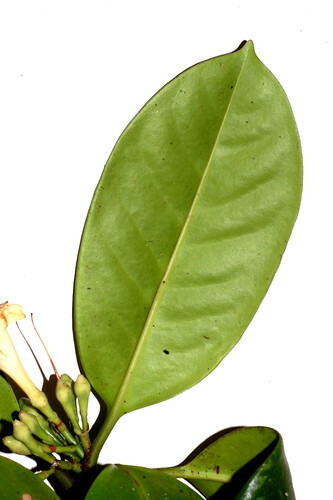 a decussate leaf arrangement), and appear like they split the bud open and burst out of it, thereby leaving a conspicuous scar on the branch. I had an analogy to describe this but decorum does not permit me to. It’s rather graphic I say. 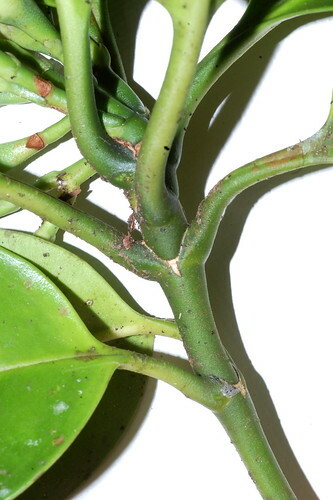 The unrelated genus Garcinia (where we get mangosteens) does the same thing, but these species will typically always bleed yellow sap when leaves are broken, whereas the Porcelain Fruit does not. 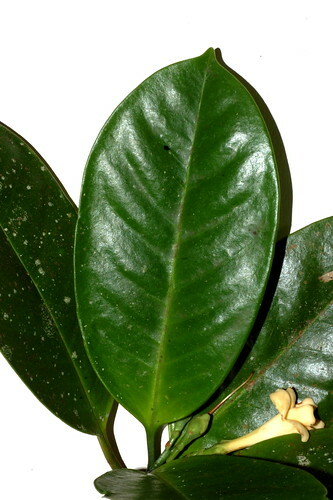 The leaves of the Porcelain fruit are rather thick and leathery, and so the veins are not extremely visible underneath. 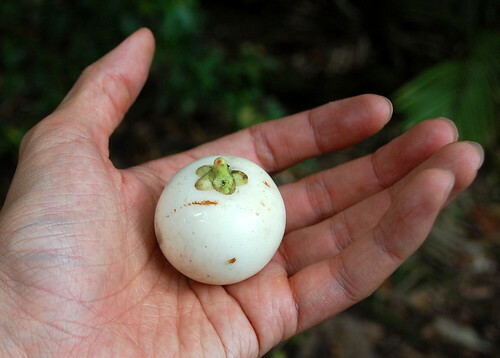 The flowers of the Porcelain fruit are gorgeous, and release a sweet aromatic scent but of course, the true reason why this species is so named the Porcelain fruit is because of the round shiny fruit, which ripens pink! 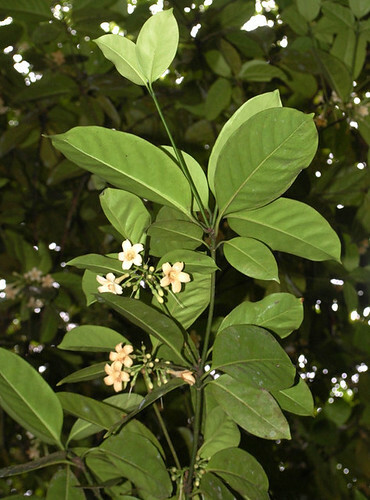 Thus the species is also called the Pink Jitta. More like “Jitters” for me. I once made the mistake biting into one of these fruits, mistaking it for a Syzygium cormiflorum. That flavour gives me the jitters when I think about it. All I can say is do not make the same mistake…unless you are a Cassowary. And be wary of those birds too. 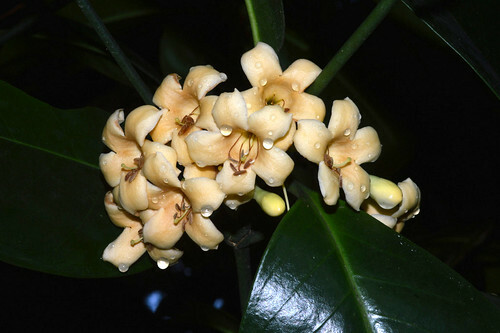 This entry was posted in Gentianaceae (Gentian family), Habitat - Rain forest, Lifeform - Trees & Shrubs and tagged Fagraea cambagei, Gentianaceae, Pink Jitta, Porcelain Fruit, Yellowheart. Bookmark the permalink.